League MVP and Defensive Player of the Year Dayne “OneWildWalnut” Downey will commentate the NBA 2K League Asia-Pacific Invitational tournament in Hong Kong, league sources tell DIMER. 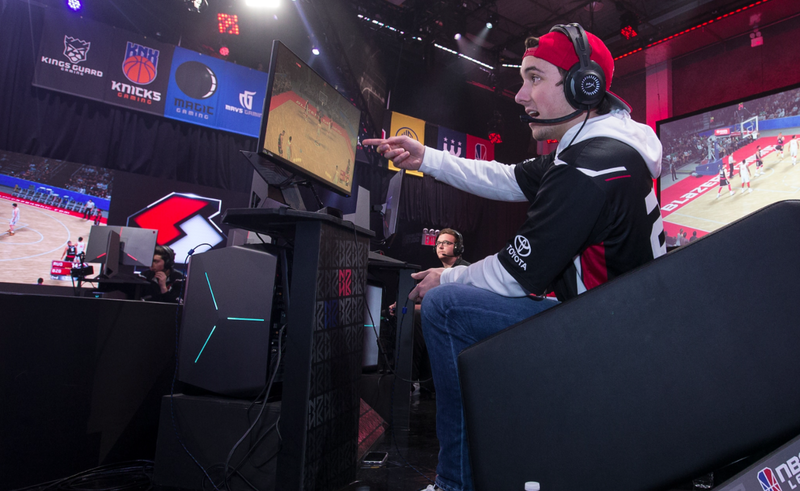 Walnut was named MVP after leading Blazer5 Gaming to a league-best 12-2 record in the regular season, as well as a championship banner in the Turn midseason tournament. He debuted his commentary skills at the NBA 2K League Showcase, when color commentator Jamie “Dirk” Diaz Ruiz suited up at center for Team Dimez. The tournament will take place in Hong Kong on Feb. 2 and 3, and will be broadcast live on Twitch. Downey will commentate alongside host/commentator Edcon Yau. The tournament will likely take place at Cyber Games Arena. The new venue opened earlier this week in Hong Kong at the cost of HK$30 million ($3.8 million USD). The arena expects to bring in 1.2 million visitors per year through over 100 local and international esports competitions, according to the South China Morning Post. 20 players from China, the Philippines, New Zealand and Australia will compete in a double-elimination tournament and speak with NBA 2K League officials and scouts. The players will scrimmage on Saturday before playing a tournament on Sunday. Selected players from the APAC Invitational will—pending a background and social media check—be added to the NBA 2K League entry draft pool for season two. Two Asia-Pacific players, Australians baqqy_ and Paul10810_Kille, made the draft pool through the combine.